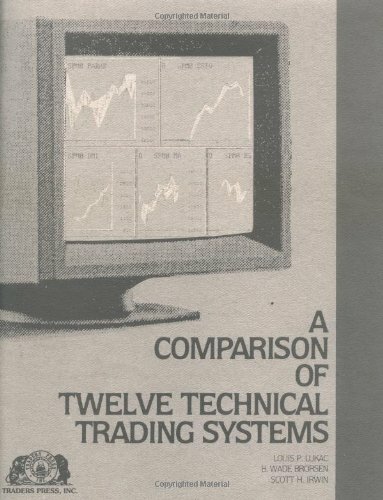 Futures trading systems researchers and developers will find a gold mine and a wealth of information in this book. It shows the detailed results of twelve different systems which are thoroughly researched in twelve different markets over a 7 year period. This material was originally the basis for Louis Lukac's Masters Degree at Purdue University. The research in this book covers the seven-year period from 1978 through 1984. One might wonder what research that seems so dated can still be useful, much less valuable. Read the Publisher's Foreword below to see why! If you have any questions about this product by Traders Pr, contact us by completing and submitting the form below. If you are looking for a specif part number, please include it with your message.